Love Hemp Bombs CBD gummies but want to see stronger, long-lasting results? 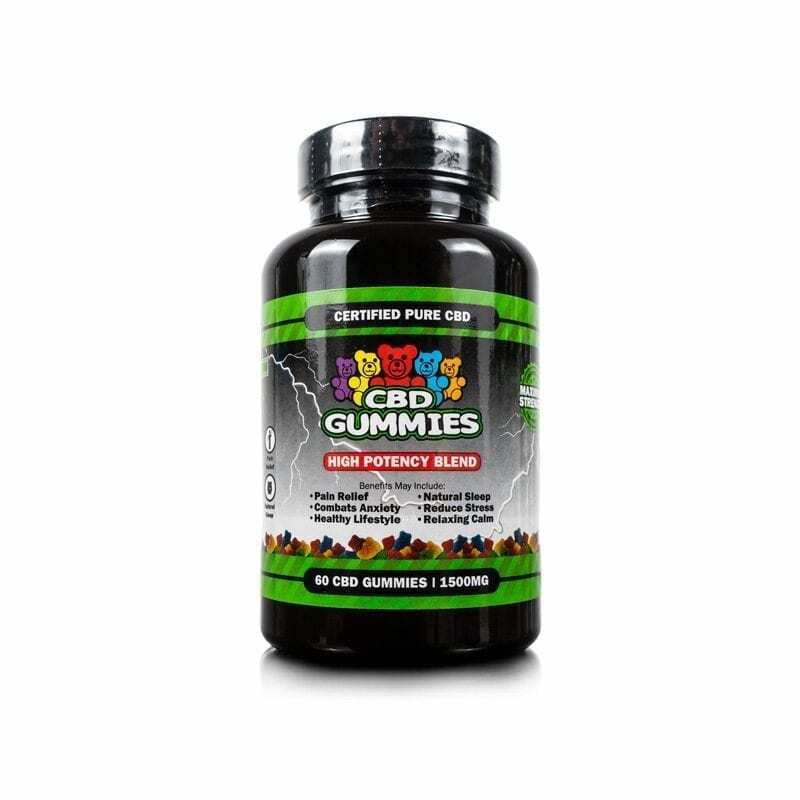 Hemp Bombs High Potency CBD Gummies offer all the flavor of our traditional gummies with a higher concentration of CBD. As you use CBD, you may grow accustomed to your dosage and need a higher potency product to maximize your benefits. That is why each gummy bear comes packed with 25 milligrams of pure CBD isolate to promote natural healing and overall wellness. 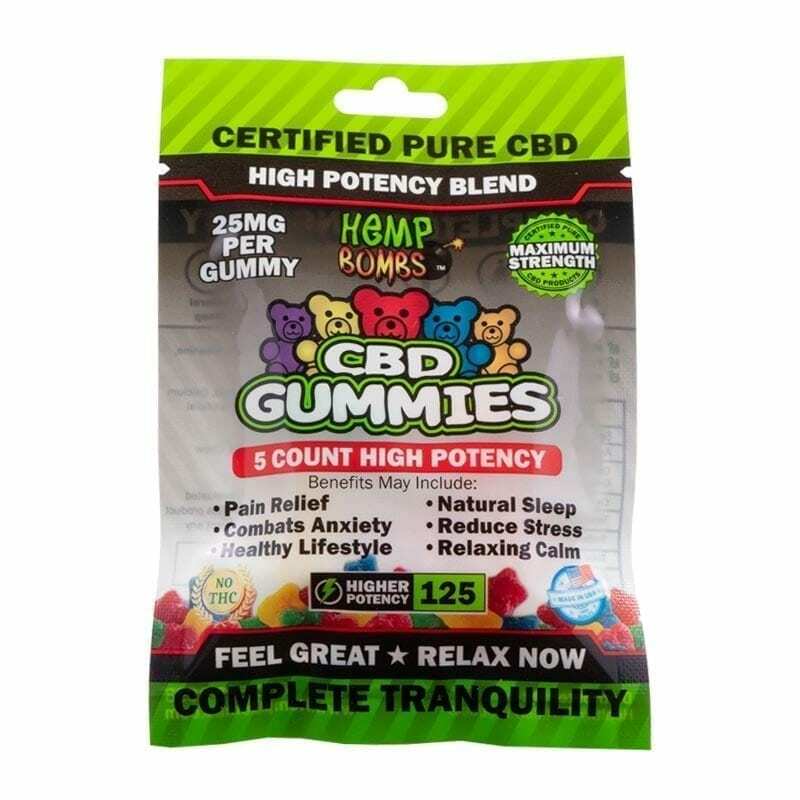 The fast-acting effects of High Potency CBD gummies allow you to feel the calmness and relaxation of CBD quickly and maintain that feeling throughout the day. We source our CBD from non-GMO, organic, Industrial Hemp grown in the U.S. under environmentally friendly, sustainable conditions. We only use Hemp-derived CBD to manufacture our products, making them federally legal and extremely potent. Additionally, all our products are third-party tested to ensure that you are getting the purest CBD without other compounds present in the Hemp plant, like THC. Hemp Bombs products are THC-free and non-psychoactive, meaning you will not feel intoxicated when taking our gummies, but you may feel less anxious and more relaxed. Your body naturally produces its own cannabinoids, or chemical compounds, to interact with the Endocannabinoid System, or ECS. The ECS is a network of cannabinoids and cannabinoid receptors that regulate mood, sleep, pain and much more. When you take our High Potency CBD Gummies, the increased concentration of the plant-derived cannabinoid – CBD – may improve the functionality of the ECS and help to restore balance to various physiological processes. Research suggests that the anti-inflammatory properties of CBD make this “miracle compound” an excellent natural alternative to traditional painkillers. The anti-inflammatory properties of High Potency CBD Gummies may alleviate redness, swelling and discomfort associated with arthritis and chronic pain, allowing you to go about your day pain-free. CBD may encourage muscle relaxation, helping you unwind at the end of a long day. The overall relaxation from our products may support better sleep quality and restfulness, contributing to more energized mornings and increased focus. If you are looking for an overall wellness boost, High Potency CBD Gummies may enhance your immune system function. CBD works as an antioxidant, binding to free radicals (molecules with unpaired electrons) in the body, to prevent imbalance and aid the immune system. Antioxidants protect the body and skin from the free radicals resulting from UV rays and environmental pollutants. When free radicals outweigh the number of antioxidants, there is increased risk for cancer, heart disease and Alzheimer’s disease. High Potency CBD Gummies increase antioxidant levels in the body to protect from these external stimuli and produce amazing health benefits. Everyone reacts differently to CBD, so it is important to assess how your body feels and adjust your intake accordingly. If you are not seeing your desired results with our traditional gummy bears, try our High Potency gummies. 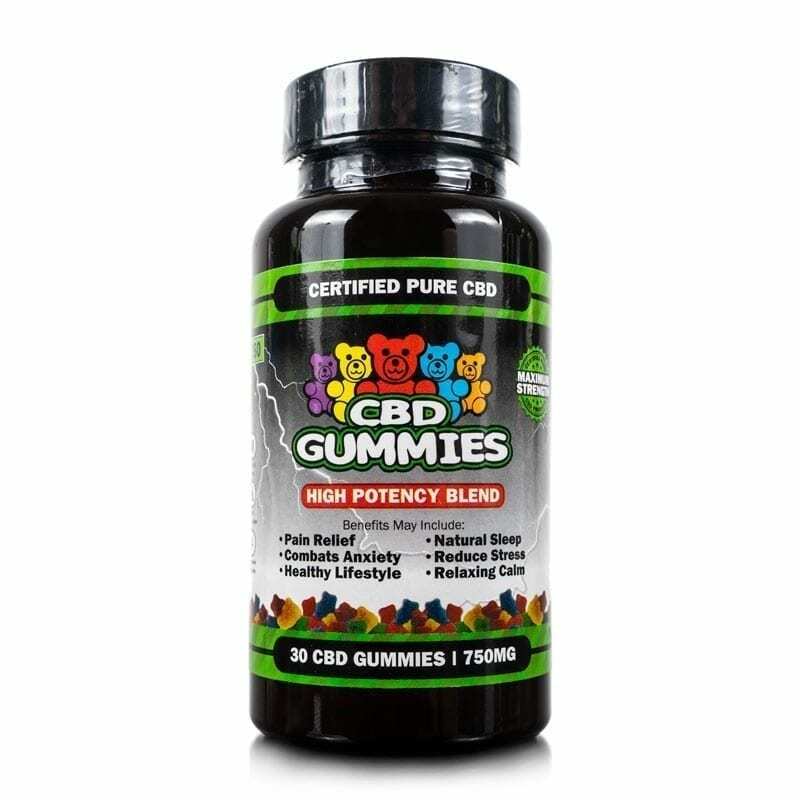 Take one or two gummies a day to feel the overwhelming health benefits of CBD. Hemp Bombs High Potency CBD Gummies taste great and are discreet for when you are on-the-go. Shop all our CBD Gummies to find the right product for you.